With one spin, even with the first few songs, of Backwood Spirit's debut album, I was transported back in time to my high school years in the mid 1970's. Formed several years ago in Sweden by songwriter and guitarist Kent Engstrom, Backwood Spirit plays classic and retro bluesy hard rock. 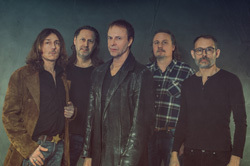 The band offers some veteran Swedish musicians from Crossroad Jam, an older now defunct band with a similar style, including drummer Joje Lindskoog and keyboardist Peter Emilson. 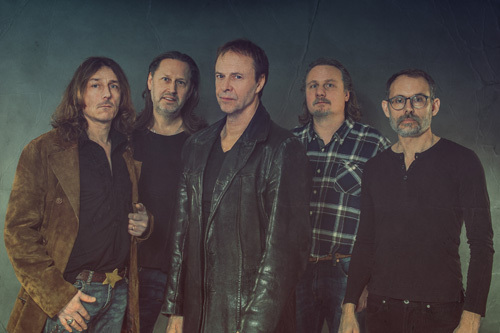 Additionally, Backwood Spirit features veteran and versatile Swedish vocalist Goran Edman of Yngwie Malmsteen fame, among many other bands. 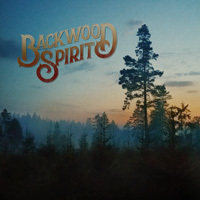 Coincidentally, Backwood Spirit's first album will be released on his birthday, April 28, when he turns 61 years old. While the musical deja vu plays in your head, you will be persuaded that Backwood Spirit has a firm grasp upon this classic genre. Several elements gel together for their retro rock sound. One is a simple heavy steady beat with a sweltering groove. Then there's the guitar riffs and licks that sway from blues to country to even some slight psychedelia. Next throw in the swirling atmosphere of generous Hammond keyboards. Finally, Edman brings a soulful voice, even some sadness, to meet the blues feeling. And I think that somewhat summarizes how I felt about the Backwood Spirit sound. In it's low and slow, burning and churning style, the music and songs seemed sad to the point of being discomforting, even mildly depressing. There's nothing in the beat or groove that makes Backwood Spirit upbeat or lively. Certainly the guitar leads are spry, in the sense that Engstrom is skilled musician. Yet there's weeping sadness to his guitar lines as well. I'm guessing most of this intentional to fit their style. But it didn't encourage me to listen to the album after a second spin for the review. I'm guess I'm not in the mood to be depressed on a regular basis. Nevertheless, for classic and retro bluesy hard rock, Backwood Spirit's style and songs are spot on, even if their sound can be lightly sad and depressing. Check them out for yourself. For classic and retro bluesy hard rock, Backwood Spirit's style and songs are spot on, even if their sound can be somewhat sad and depressing.